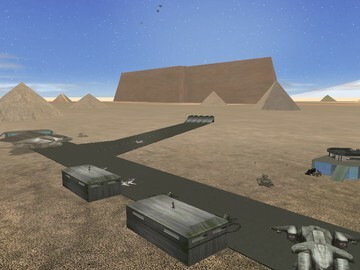 This map is an Adolphatobia variant with an AI battle taking place between a vastly outnumbered squad of Armored Marines ambushed by the Covenant, with No Way Out...sort of a "Blackhawk Down" situation for these poor fellas with their wrecked and burning Pelicans. Everything is pretty much the same as with the original NoWayOut map, but with approximately half the number of AI for improved gameplay on somewhat slower machines. A new bomber variant called the "Shiva Longsword" has been included on this map, and carries a "Shiva" thermonuclear bomb several times more powerful than the standard nuke warhead. The two neutron nukes in each testing range are also about half as large, but still deliver a pretty big punch. For other details concerning this map, please refer to the original NoWayOut description. 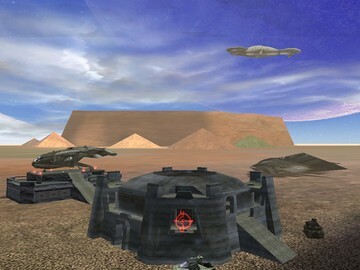 This is primarily designed as a multiplayer map for solo play, however, you may try to play LAN or Internet with other players joining the battle as red team for a joint effort to help Marines battle the Covenant or as blue team to help the Cov attack them. Always remember, No AI characters will sync in HALO CE multiplayer.